I didn’t know I got gifts because it’s Sherlock Holmes Week. And what did Molly Hooper mean when she said she’d go *unwrap* my present? Let’s face it. 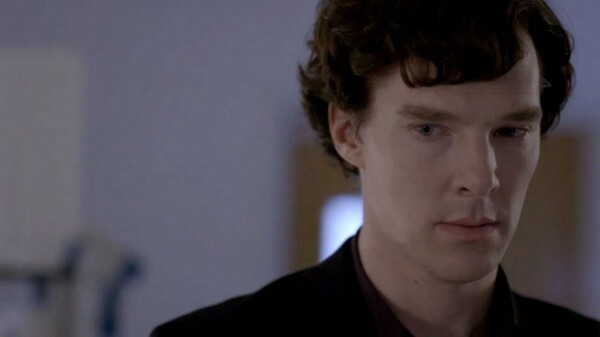 After the Reichenbach Fall, sherlock is going to owe Molly Hooper pretty much whatever she asks for. The question is will she ask for what she wants? Or does she still want what she did at Christmas? Only time — and Season 3 Sherlock — will tell. Bwaahaahaa [insert evil genius laugh]! Happy Sherlock Holmes Week Tuesday! To all the artists out there, the Steampunk Sherlock Competition deadline has been extended to 5 August, 2012. Go to http://sherlockholmesweek.com for details on how to enter (and win). This entry was posted in Captions and tagged bbc sherlock, benedict cumberbatch, photo caption, Sherlock Holmes, tv series on July 31, 2012 by JH Watson.